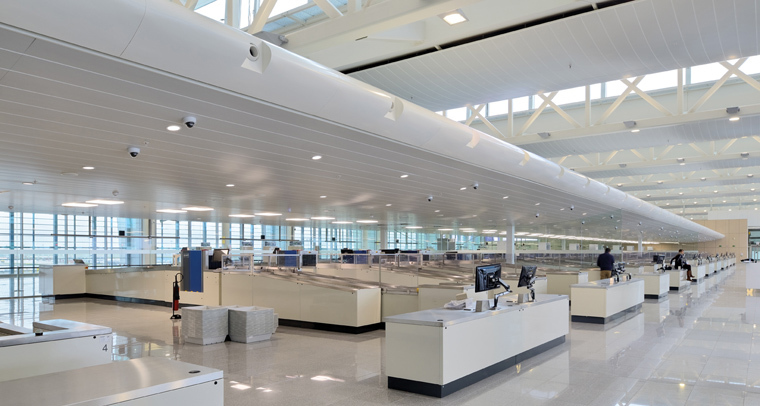 Connector is a modern, state-of-the art building in the heart of the airport. 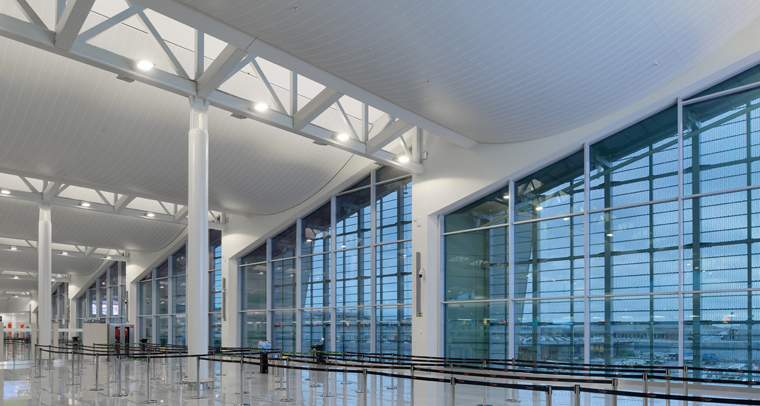 Literally a connecting building it is also an architectural bridge between two different zeitgeists and styles. 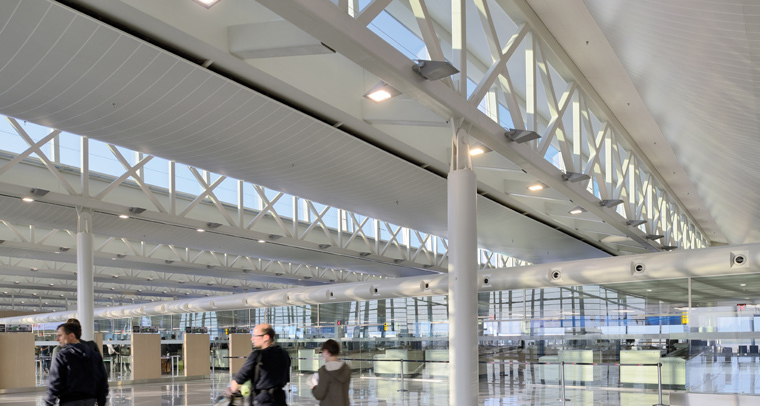 Connector itself is contemporary, open, low-energy building with an eye to the future. 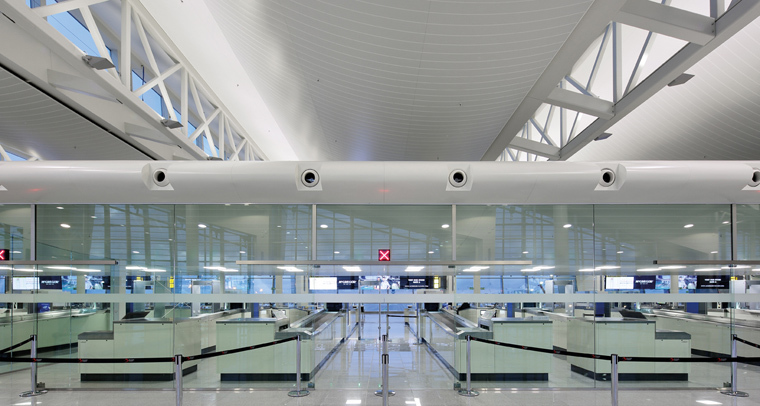 Connector is the building which links the passenger terminal to Pier A above-ground: it allows passengers to walk straight from the check-in desk to their gate in pier A. 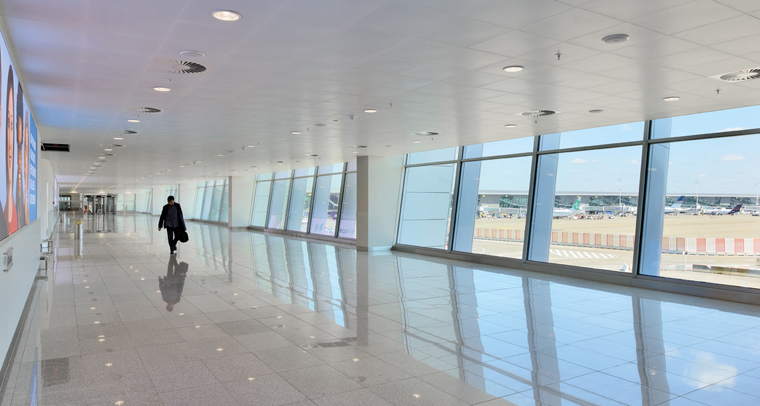 In the opposite direction, the building provides the arriving passenger with a smooth and agreeable passage to the baggage reclaim hall and the exit. 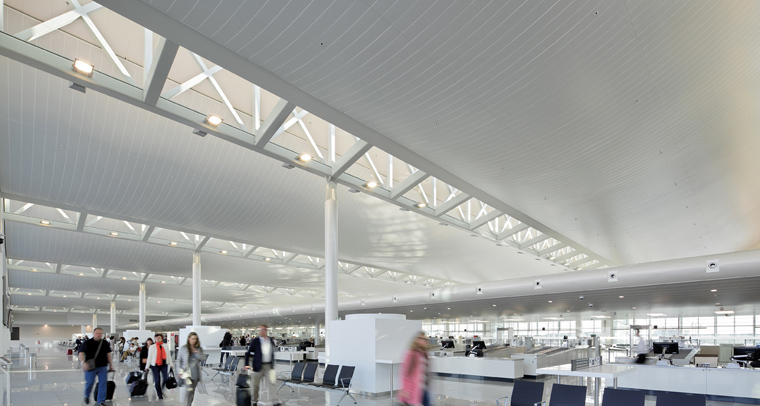 One of Connector’s immediately striking features is the saw-tooth roof. 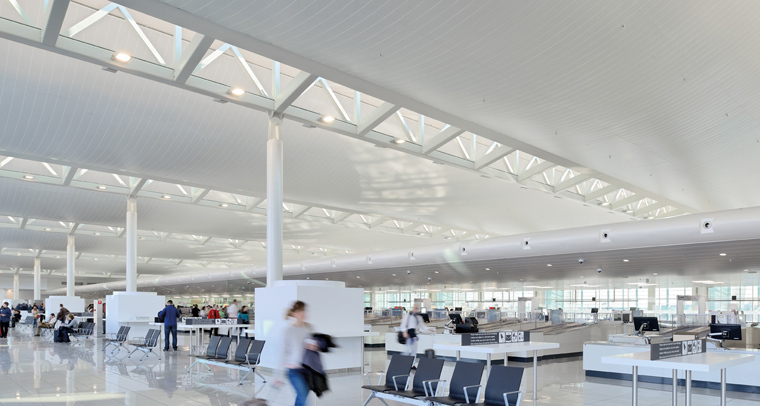 Apart from aesthetic and technical considerations, this saw-tooth structure of the roof has the advantage of letting in more natural light, thus creating a pleasant environment as well as being energy-efficient. 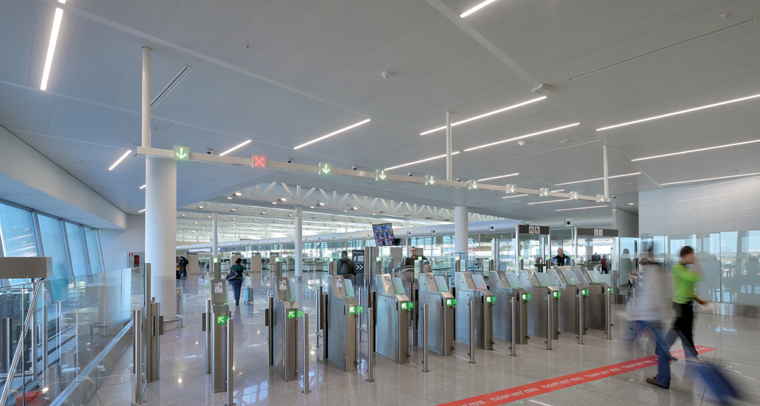 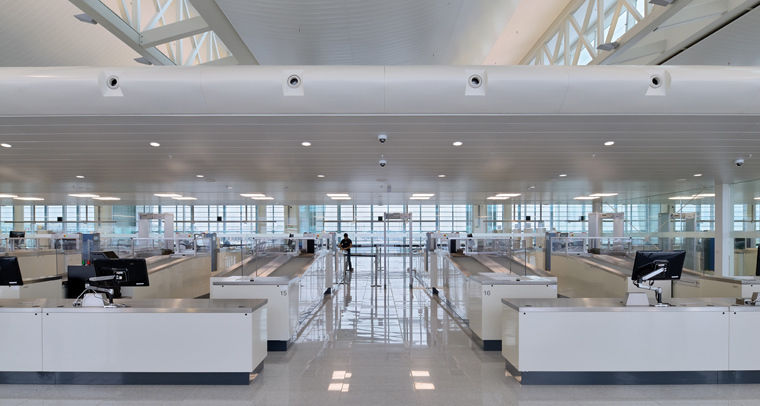 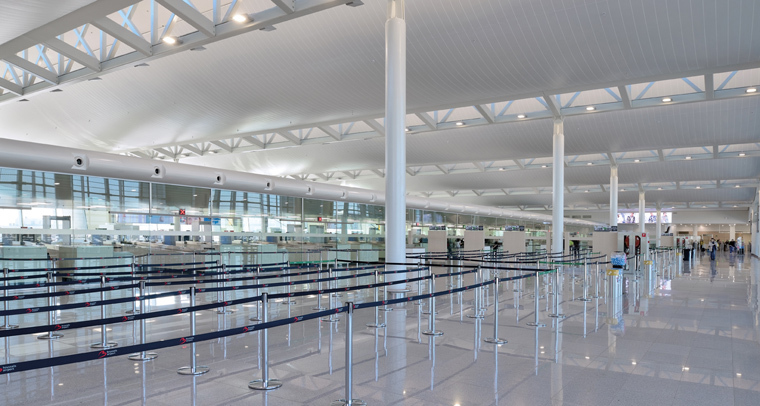 With 25 screening lanes in Connector, Brussels Airport not only has the biggest screening platform in Europe, it is also the first airport to apply remote screening on a larger scale. 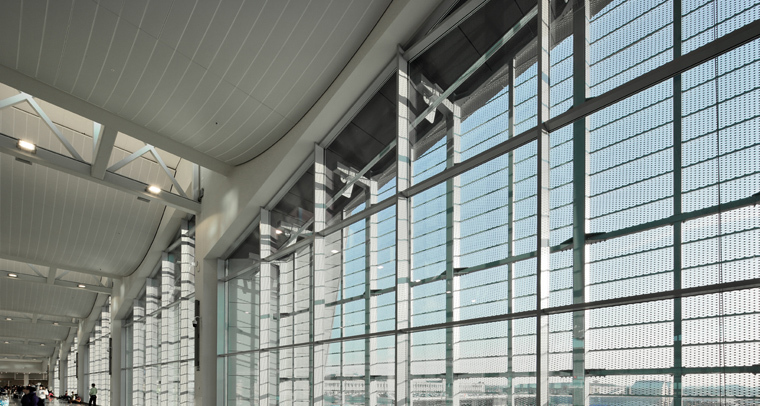 A striking feature here is the ‘wing’, an architectural feat that screens off various technical elements.